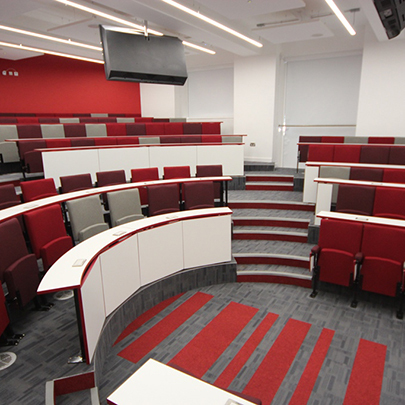 CPS has recently installed a new Harvard Lecture Theatre into a well-established UK university. 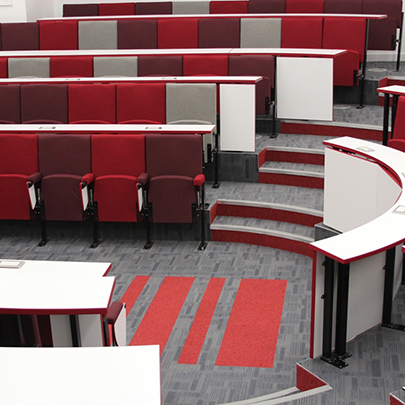 Along with the Harvard layout the University also opted for striking designer upholstery as well as choosing a matching carpet design. Both CPS and Universities nationwide have proved that creative room designs increase students respect for the room which in turn reduces vandalism. 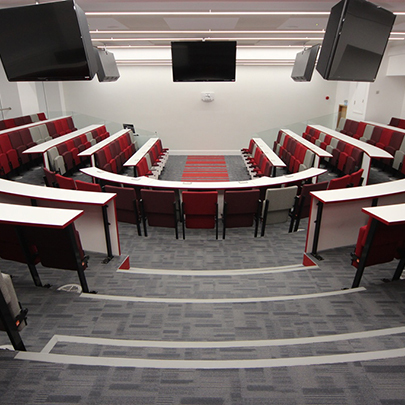 The lecture theatre also has power outlets to every desk giving students the ability to use electronic devices.